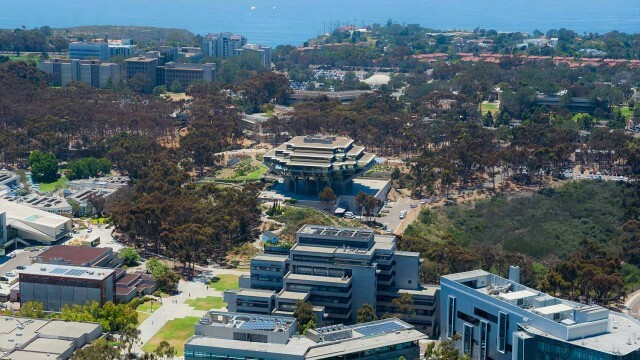 UC San Diego announced Monday that it plans to open a downtown educational and cultural facility that will tap into the area’s innovative companies and diverse urban neighborhoods. The 66,000-square-foot Innovative Cultural and Education Hub will be part of a larger mixed-use development at Park Boulevard and Market Street, and is slated to open in 2020. According to UCSD, the facility will include space for academic and outreach programs for middle and high school students from surrounding communities, business incubation and resources for entrepreneurs, a hub for applied research and volunteer opportunities, and a venue for arts events and exhibits. The center, which will also have a ground-floor restaurant, will offer courses, workshops and seminars relevant to downtown’s growing workforce. The location was selected because of its proximity to the San Diego trolley’s Blue Line, which runs from San Ysidro to Old Town, and is being extended to the UCSD campus. UCSD officials said the center will be paid for via a combination of grants, fees and lease revenues instead of state funds, and will be managed by the school’s extension program. The overall project, which includes more than 400 apartments, goes before the City Council on Tuesday.